Welcome to the Bark Easy Pet Grooming Web Site! Open Monday-Friday at 8 a.m.
Bark Easy offers full-service dog and cat grooming in a friendly, relaxed atmosphere. 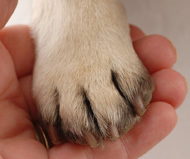 Our experienced groomers are all animal lovers and enjoy what they do. We provide excellent services by offering both customized and breed standard pet styling. We get to personally know our customers and their pets. Not all pets like to be groomed but we make it as pleasant an experience as possible, using the finest products and room-temperature drying (never hot air blowers). See our Services page for details. Bark Easy is not a high-volume shop so we take the time to do the job right and pay attention to every detail. Appointments are required for full-service dog and cat grooming. 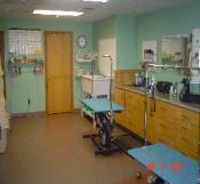 You can make an appointment online, by phone at 603-465-2113 or by e-mail at barkeasy@aol.com. You can set up a drop-off time or you can drop off in the morning and we will set up a time for you to return later to pick up your pet. We don’t just put your pet in a crate for hours on end. 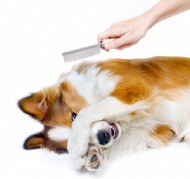 Our groomers will pay attention to and take good care of your furry friend. No appointment is necessary but a call-ahead is recommended. For your convenience, we stock collars and leashes, toys, beds and grooming supplies. Some of the products that we use in our grooming salon are available for home use. At Bark Easy, we love all dogs but can only take a limited number of certain large-breed dogs. For the large breed dogs that we do groom, we request that a regular schedule be maintained as it takes extra time and effort to groom these dogs. This makes it easier on your pet to keep them looking good and maintain a healthy coat. Want to hear about our specials? Sign up today! Refer a new customer to Bark Easy and we’ll give you a $10 credit toward your next pet grooming. It’s our way of thanking our loyal customers. Please note that gratuities must be paid in cash to our groomers. Being a dog and having allergies, itchy and dry skin is tough. A few years back my mom and dad decided to bring me here because they heard Bark Easy had a certain shampoo that might really be helpful for me and they didn't use hair dryers all the time. All I can say now is that Carol and her team are wonderful. © 2015 Bark Easy Pet Grooming, LLC. All rights reserved.